Scherrie Payne started her career in show business as the lead singer of the Detroit based group "The Glass House." They signed to the Invictus label in 1969 and saw their biggest hit with the track "Crumbs Off The Table" (written by Scherrie), which charted on the Billboard Top 10. Between 1969 and 1972, The Glass House released 2 albums and 9 singles, including Scherrie's solo track, "V.I.P." They quietly disbanded in 1972 after the release of their album, "Thanks, I Needed That." In 1973, Scherrie Payne became the final lead singer of Motown's legendary recording group "The Supremes." Known affectionately by fans as “The little lady with the big voice” & The Payne killer,” Scherrie quickly established herself as a fan favorite among the Supremes’ worldwide fan base. Lead vocal sparks flew from Scherrie Payne from 1973 to 1977 on three Supremes’ Albums. “He’s My Man,” “I’m Gonna Let My Heart Do The Walking,” "Let Yourself Go;" and “You’re My Driving Wheel” were the singles that Scherrie sang lead on in Motown’s closing chapter of The Supremes. In June 1977, The Supremes (Scherrie Payne, Mary Wilson & Susaye Greene) performed their final farewell concert and the group was officially retired. In 1979, Scherrie Payne and Susaye Greene recorded an album together on the Motown label titled "Partners." The critically acclaimed album was written and produced by the duo and featured the single "Leaving Me Was The Best Thing You've Ever Done," which was written by Scherrie. In the early 1980's Scherrie Payne had solo club hits with her version of 10cc's "I'm Not In Love" followed by "One Night Only," a song from the play and movie "Dreamgirls." In 1985, she recorded her first solo album for Superstar International Records which contained several duets with Phillip Ingram. The following year Scherrie Payne recorded with British producer Ian Levine for his Motown reunion project, Motorcity Records. While with this label, Payne released two solo singles "Chasing Me Into Somebody Else's Arms" and "Pure Energy" (co-written by Payne), as well as covers of two Diana Ross tunes, "Ain't No Mountain High Enough" and "I'm Still Waiting." Other product recorded for Motorcity included "Who's Wrong, Who's Right" and "One More Time." In 1986, Scherrie Payne, Lynda Laurence & Jean Terrell – all former members of Motown’s Supremes – joined together. Their vision was to rekindle the glamour, style and music of The Supremes. The name for the trio was a natural evolution..."The Former Ladies of The Supremes." After Jean Terrell's departure in 1992, and Lynda Laurence's in 2017 the trio continued, and today they are joined by the Grammy Nominated and American Music Award winner, Joyce Vincent - of Tony Orlando & Dawn" fame. In the summer of 2000, Diana Ross and The Supremes began their “Return to Love” tour. The tour rolled out with Diana Ross, Scherrie Payne and Lynda Laurence as The Supremes trio. The production included a 14-piece band, a 48-piece orchestra, and a 12-member dance troupe. The Ladies appeared on "The Oprah Winfrey Show," "The View," "The Today Show," and VH1's "Diva's" special. When Scherrie is not recording and performing all over the world with her group, she is an avid writer and has written over 20 screenplays and 3 stage plays. In September 2012 her stage play "It Always Rains On Sunday" was produced by Donald Welch and had a 3-day sold out run in Los Angeles, CA. In Scherrie's next production "A Lady In Waiting" (also produced and directed by Donald Welch) two actresses were nominated by the NAACP Theater Awards in the best supporting actress category. In June of 2017 Scherrie presented her first musical "The Dreamseekers" at the Secret Rose theater in North Hollywood, CA. 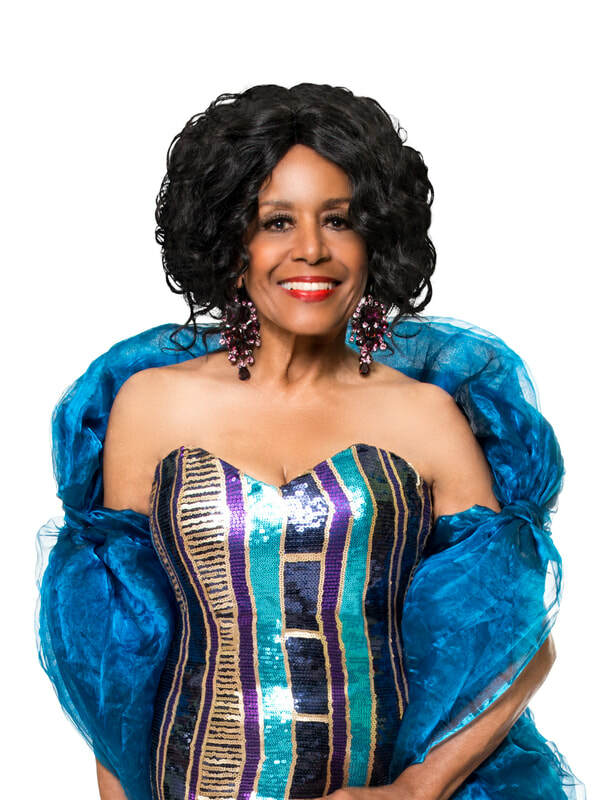 Scherrie continues to perform alongside former Supreme Susaye Greene and Joyce Vincent as Scherrie and Susaye, Formerly of The Supremes. Scherrie is authentically keeping the legend alive!